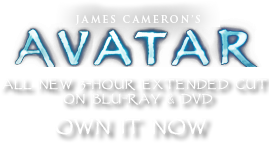 Viperwolf | Pandorapedia: The Official Guide to Pandora | Own AVATAR on Blu-ray & DVD Now! Their keen, intelligent green eyes can see as clearly at night as in the day. Their long distance vision is only moderate, but their depth perception is superb. Their sense of smell is second to only the thanator (based on the few creatures who have been measured to date). It is believed that a viperwolf can sense prey from more than eight kilometers away. Very few predators (the mountain banshee among them) will attempt an attack on a viperwolf, who nearly always moves in a pack that can mass into a highly cooperative hunting party within seconds. The pack appears to communicate information about the potential prey or predator with facial tics, paw gestures and audio cues. Only months after birth, a viperwolf cub is required to hunt on its own. However, the cubs mature swiftly and grow to half the adult size by their sixth month. By then, they also have a full set of teeth and their jaw muscles are almost mature; a viperwolf's jaws can exert four kilograms of pressure per square centimeter, easily enough to crush bone, or even stone. Taxonomy Caniferratus costatus or "striped armored wolf." Anatomy Six legs. Mostly black but banded with vermillion and iridescent blue. Burnished, hairless skin. Low slung head with chitinous armor around neck. Amphipod plating on the back of the neck and spine. Bioluminescence for pack identification. Distensible, snake-like jaw with obsidian-like teeth. Paddle-like tail used for stability. Leathery paws have opposable thumbs. Shows characteristics of canid on evolutionary path to simian. Feeding Ecology Mostly nocturnal carnivore, highly strategic pack hunter with territories ranging over 480 sq. kilometers. Unique coyote-like yelps and snake-like hissing thought to convey hunting information. Size More than 1.5 meters long, .7 meters tall. Notes Humanlike grip allows them to hunt in rainforest canopy as well as on ground. 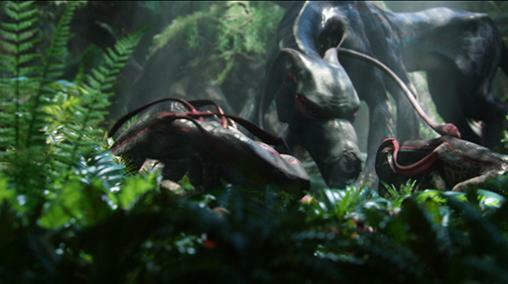 It is revered by the Na'vi for its fierce intelligence, strong familial bond and devotion to its pack.